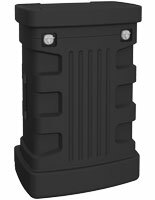 62-1/2" long container holds large-size displays. Foam lining protects equipment during travel. Heavy-duty, lockable wheels make transport easy. 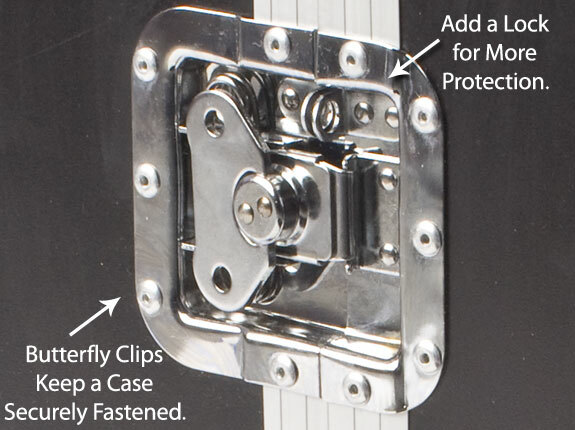 Butterfly latches keep items stored, yet are easy to open when desired. Please Hit the Right Arrow Key to View More Images. Please Hit the Right Arrow Key to View More Images. Please Hit the Right Arrow Key to View More Images. 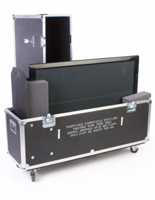 A transport case is designed with users in mind! 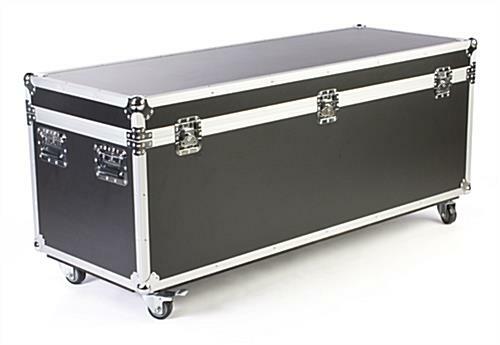 This equipment case, transport case is 62-1/2" wide, making it one of the largest shipping cases we currently offer online! 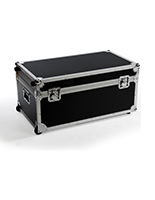 The transport case, also known as a storage case, will therefore be able to hold a large quantity of items as well as those of large size. 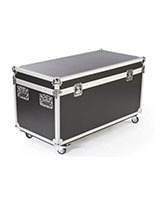 This transport case, for example, could be used in between events to store speakers, folding podiums or even banner stands all in one wheeled case! 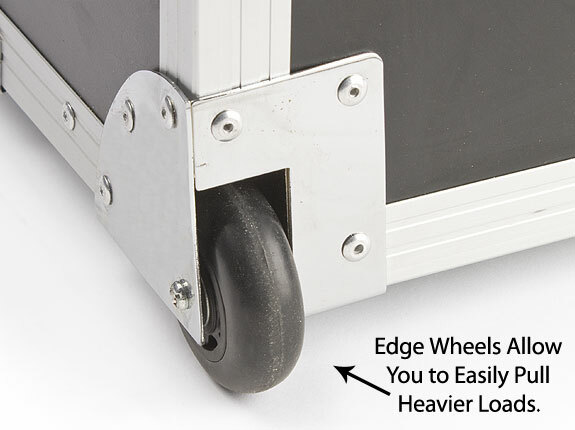 We even provide the transport case with 3" diameter, locking wheels, making your container easy to move, regardless of how much you've stored inside. 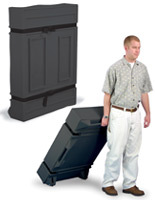 This transport case is made from 3/8" plywood and feature black, fireproof ABS panels. 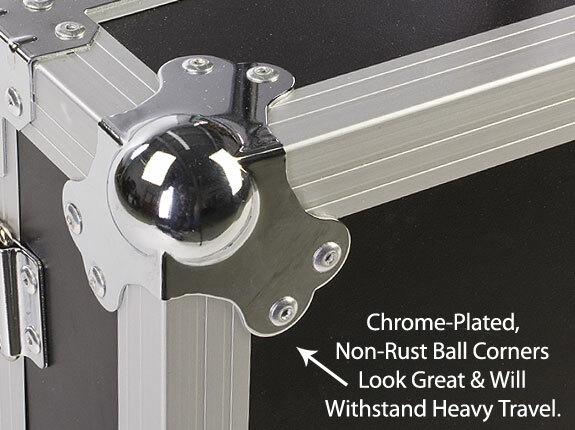 The storage container, transport case includes chrome-plated, non-rust ball corners as well as three heavy-duty butterfly latches to secure its cover tightly. 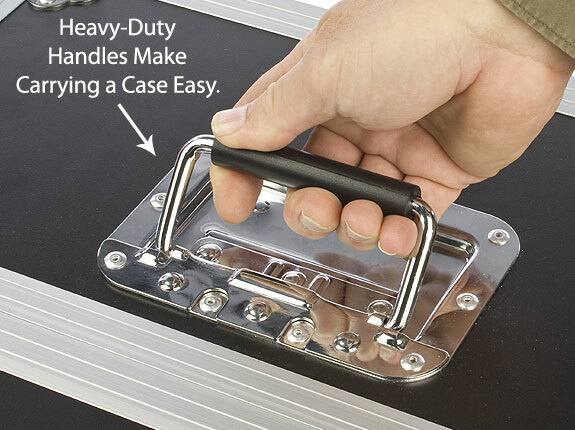 Each latch also includes a ring for attaching a lock or security tie. 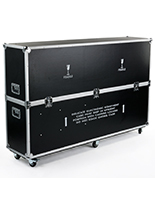 This transport case, such as shipping cases, is also equipped with 1-1/4" thick polystyrene foam to better protect your equipment and accessories during travel. 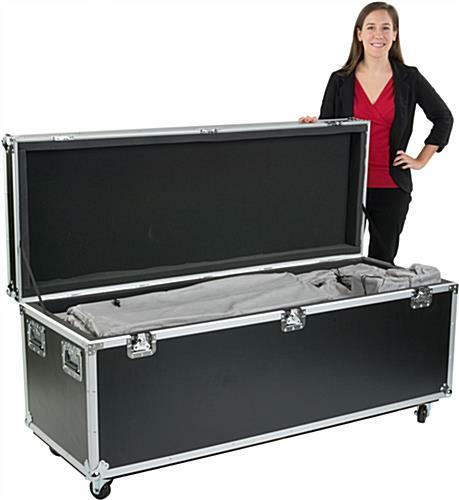 Unlike custom cases, this transport case is in stock and ready for shipping! 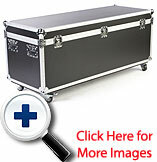 The transport case is also much more affordable than custom cases! 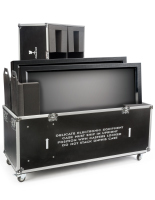 A transport case is ideally meant for business professionals or trade show participants traveling between events or shows, as it provides them with one large case for the storage and protection of all of their presentational equipment. Please Note: This transport case does not meet ATA standards. 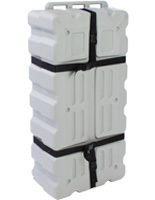 62.5" x 27.5" x 22.5"
17.0" x 19.8" x 58.5"
We just ordered this shipping case. It will be used to ship booth equipment to trade shows around the country. It is a perfect fit for our iPAD display stand but also leaves lots of room to pack other items around it. It weighs 75 pounds empty so once it is packed, you will definitely need a truck with a lift gate to load it -- or 2-3 very strong people!